Leading Exporter of roaster machine for mill from Kolkata. To meet diverse requirements of our prestigious clients, we are engaged in providing Roaster Machine for Mill. This roaster machine is manufactured with superior quality components and advance technology as per the international standards. 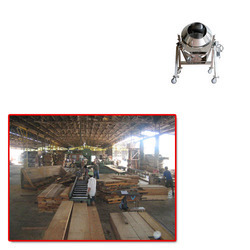 Our roaster machine is obtainable in various specifications so as to deliver a flawless range. This roaster machine is availed form us at very affordable price. Looking for Roaster Machine for Mill ?